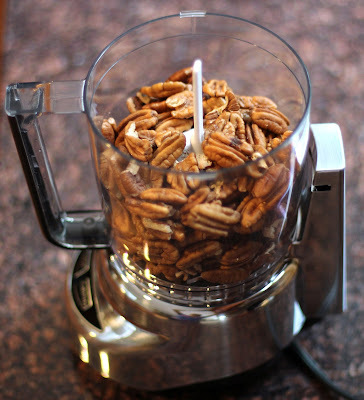 A giant bag of pecans + 10 minutes = super easy, inexpensive, and DELICIOUS healthy homemade Pecan Butter. $13.48 – $5.24 = $8.24 in savings, PER CUP! Smooth, rich, creamy and nutty! 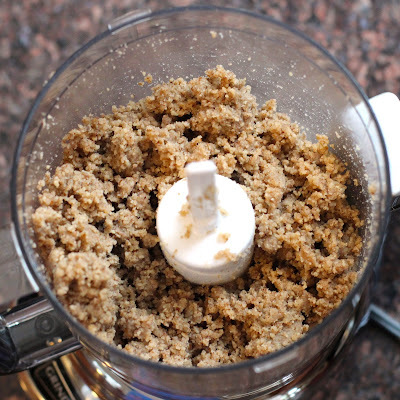 In a food processor, add the walnuts. 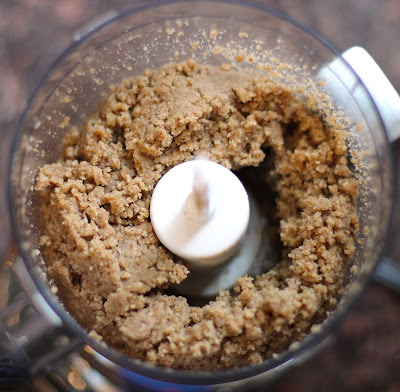 Pulse until crumbly and flour-like, then grind constantly until smooth and buttery, scraping down the sides of the bowl as needed (depending on the processor you use, this could take anywhere from 5-10 minutes). Feel free to add salt to taste or stevia to sweeten. 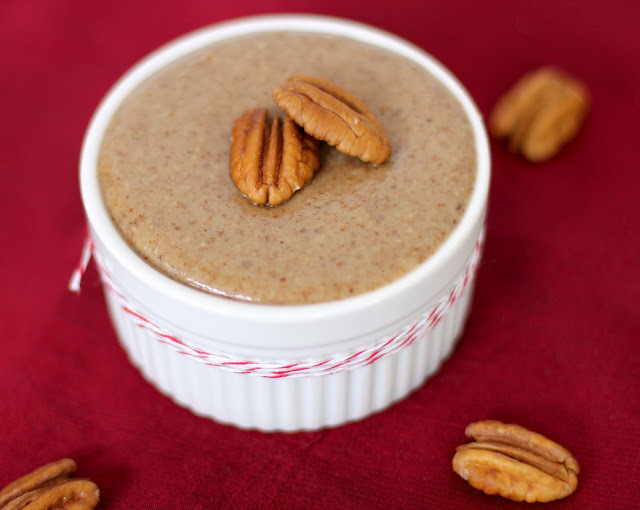 So how can you use this homemade pecan butter? Make “Reese’s” Pecan Butter Cups! 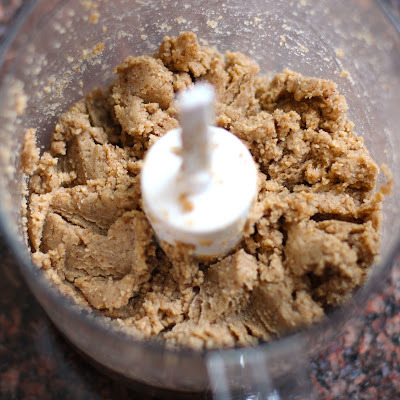 I’m obsessed with homemade nut butters. I think pecan might be next!! 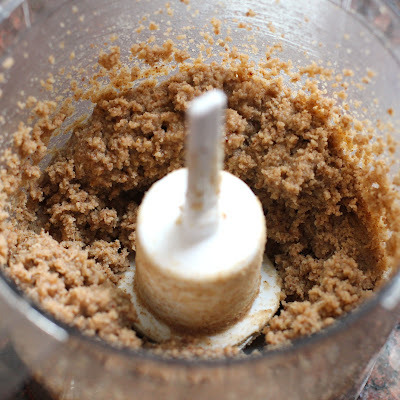 I’m still experimenting with different kinds of nut butters, but so far, I love them! You’re pictures are beautiful- you make it look so delicious, I don’t know if it would last to make your suggested recipes! 🙂 Excited to see the recipe for Friday! I’ll have to remember it for December, it would make such a nice Christmas gift in a jar with a red and green ribbon. Found this on Foodgawker! Love that you mention the price difference between making it yourself and buying it in-store, really creative. i am ALL about saving money!! that’s awesome, i’m going to start making this. 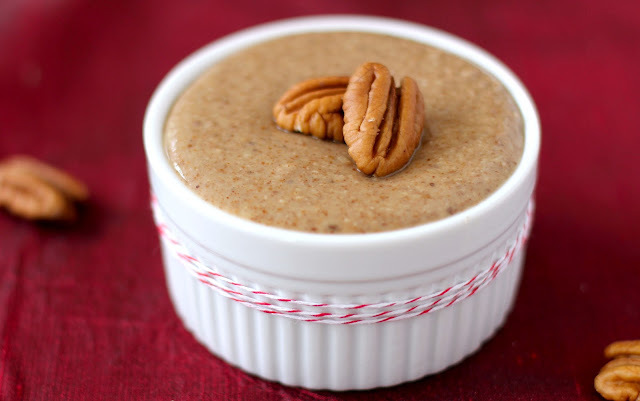 Aw, I wanted to make pecan butter for quite a while now… looks really good! I think I’m going to try this for Christmas gifts this year, I had no idea it was this easy! 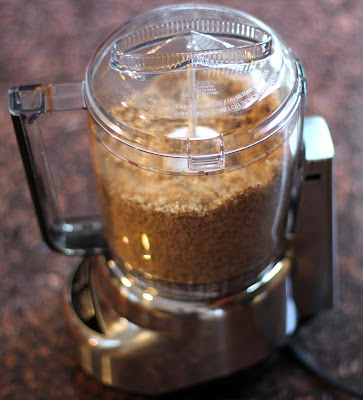 hi i am using the 2 cups crusinart food processor, but it seems doesnt work so well whening making nut butter, wonder how long u press and hold the grind butter? i usually hold it for 1 min then scrape down and do it until it’s done but i smell something like plastic, i thought if it would be the engine or the blade of the machine is not strong enough to make nut butter, so do u have such an experience before? i fail making it for 3 times need some of your advices, thx. 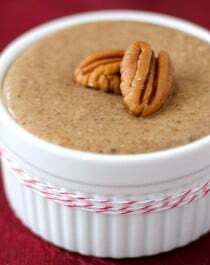 I have recently made pecan butter, and love it. Hoping to make it for family and friends, but need to know how long it wil last in fridge, and still be safe.